Make the connection to this interlocking loop ring! Crafted in 14kt yellow gold with diamonds, the shapely piece shimmers and shines, with an open marquise form as the central focal point, gracefully flowing to a wide, open band. 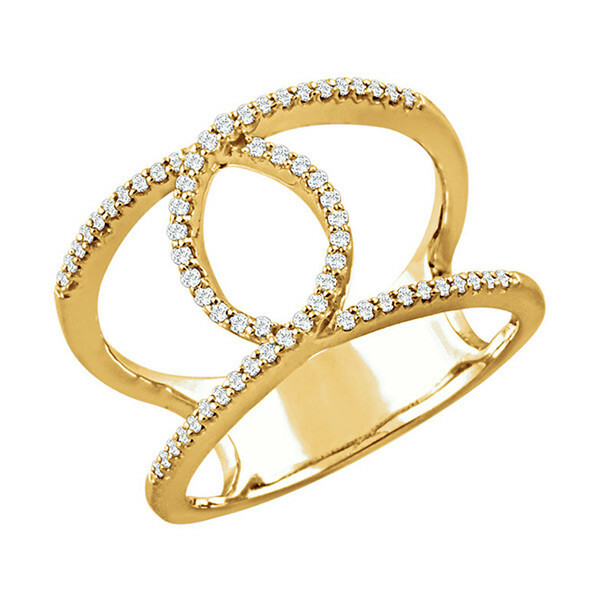 This ring is a piece of jewelry that joins form and function fantastically!